we don’t always match but when we do…. A native to the Berkshires, Kate grew up in Stockbridge, moved away and came back. She left home to pursue a career as a professional ballet dancer working in Kansas City, Memphis and Austin before moving back home. Upon return she began pursuing her other passion: food, but mainly the amazing people who make it. After working briefly in restaurants she began working at Rubiner’s Cheesemongers & Grocers where she became a world class Cheesemonger. Her work with local and regional cheesemakers was her favorite and led her to find more ways to work closer with producers. 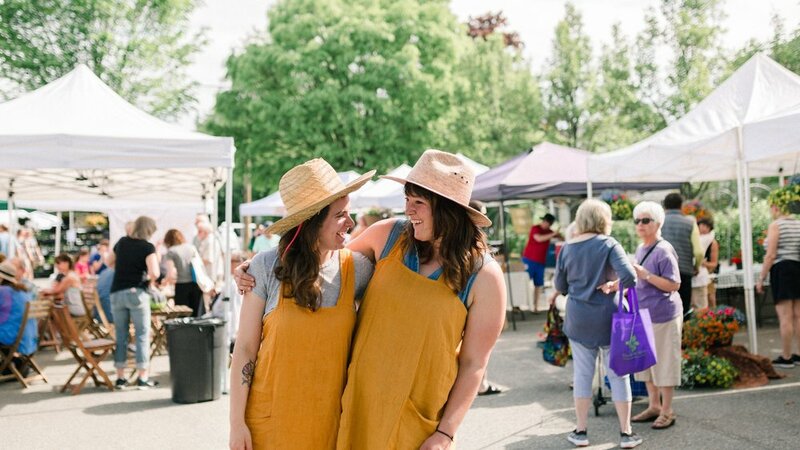 After leaving Rubiner’s after the birth of her daughter, Aoife, she began working on small farms and moonlighting as the former Market Managers assistant. In 2017 Kate took over as Market Manager. She currently lives in Great Barrington with her husband Joe, two kids, one dog and one cat. I was born in the Berkshires and raised just over the border at Darrow School. In my early twenties, after earning a degree in science and economics from UVM, I began teaching at the Montessori School of the Berkshires. During a quarter life crisis I left the classroom and spent several years working full time as an organic farmer. Now I get the best of both worlds as an educator with Berkshire Botanic Garden. I maintain several school garden programs throughout the county. My work provides me with the opportunity to help students get excited about plants, feel capable, and learn about their local food system. At the Market, my role is focused on marketing, community engagement, and our nutrition assistance programs. I love working in the intersection of agriculture, education, and social justice. I feel lucky to live in a beautiful place where I also have meaningful work with two wonderful organizations. I live in an 1700s farm house in Richmond with my wife, two dogs, bees, chickens, and a cat named Sausage. The following is placeholder text. Vestibulum ante ipsum primis in faucibus orci luctus et ultrices posuere cubilia Curae.